Do you have what it takes to join our hard-working team passionate about providing watersports opportunities to everyone? We are currently hiring for a full-time Instructional Supervisor position responsible for supervising our Surfing, Paddling, and Rowing departments. Duties include hiring and training of instructors, developing schedules and curriculum, monitoring enrollment and student safety, completing administration and payroll reports, monitoring equipment maintenance and repair, developing instructional printed materials, and assisting in promotional and marketing efforts. A minimum of 5 years demonstrated experience in aquatic instruction, supervision and program management is required. You must have excellent technical skills (or excellent understanding of) in surfing, stand up paddling, kayaking, and rowing. You must have a four year degree from a college or university and valid Red Cross Lifeguarding certification. 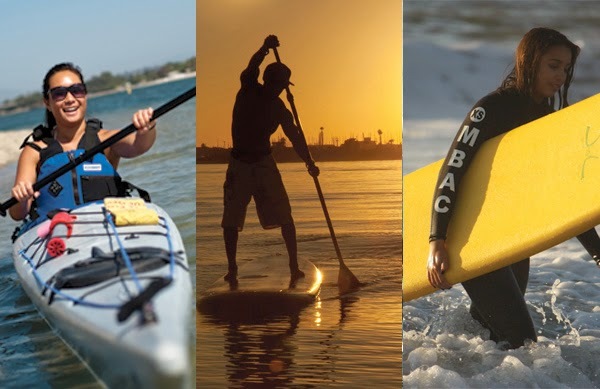 An American Canoe Association SUP Instructor certification is recommended and experience with sailing and powerboats is preferred. This full time position is hourly, with a starting salary range of $19.26-$23.11 per hour. Associated Students of SDSU offers an incredible benefits package including medical, dental, vision, 403(b), life insurance, flexible spending account, tuition reimbursement, vacation, and holidays. If you or someone you know is interested in applying, please visit http://affiliated.sdsu.edu/AS/as.htm for a detailed job description and application.